MADISON, Wis. (AP) — Gov. 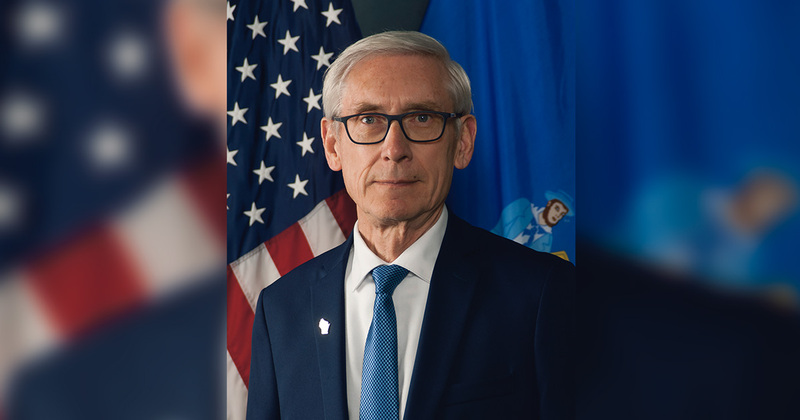 Tony Evers on Wednesday walked back comments he made in his first State of the State address related to withdrawing Wisconsin from a multi-state lawsuit seeking repeal of the federal health care law. Evers said Tuesday that he was “directing” Attorney General Josh Kaul to withdraw from the lawsuit, a line that drew loud applause from fellow Democrats. The moves from Evers came after an attorney for the nonpartisan Legislative Reference Bureau sent a memo Wednesday saying that Evers lacks the power to withdraw Wisconsin from the lawsuit. Both Evers and Kaul campaigned in support of getting Wisconsin out of the lawsuit filed in federal court in Texas. A judge in December ruled that the Affordable Care Act is unconstitutional, but the law’s provisions remain in effect while the case is under appeal. Wisconsin Republicans in last month’s lame-duck session passed a bill giving the Legislature’s GOP-controlled budget committee the power to withdraw from lawsuits. Previously, the governor had that authority. But in defiance of that law, Evers on Tuesday directed Kaul to get out of the lawsuit. The letter Evers sent Kaul on Tuesday says that the governor is “withdrawing the authority previously provided” to Kaul’s predecessor to join the lawsuit, a move that Evers cast as an order for Kaul to get Wisconsin out of the legal fight. The memo from LRB attorney Sarah Walkenhorst said that under the lame-duck law only the Legislature’s Republican-controlled Joint Finance Committee, and not the governor, can discontinue a lawsuit. Democrats, including Kaul and Evers, hammered Republicans during the campaign for seeking repeal of the law they’ve long despised, while also supporting its most popular provisions. Republicans tried to mute that argument by passing a bill in the Assembly on Tuesday guaranteeing coverage for pre-existing conditions that would take effect if the Affordable Care Act is repealed. Democrats who opposed it argued it was a stunt that wouldn’t work as intended. Still, 16 Democrats voted for the measure. Wisconsin got involved in the lawsuit last year under the order of then-Gov. Scott Walker , a staunch opponent of the federal health law. Former Wisconsin Solicitor General Misha Tseytlin developed the legal theory behind the case and argued it before the judge in Texas. But Tseytlin and his deputy Kevin LeRoy withdrew from the case on Dec. 28, ahead of the solicitor general’s office being eliminated. Republicans got rid of the office under a law passed during last month’s lame-duck session. Since their departure, Wisconsin has been represented by attorneys from the Texas attorney general’s office. Kaul has not notified the court of any attorneys who will be representing Wisconsin, if anyone, going forward. Evers campaigned on the promise that on his first day in office he would order the state to withdraw from the case. But Republicans blocked him through the lame-duck session law transferring authority for withdrawing from the lawsuit from the governor to the Legislature. Evers initially said he was going to ask Kaul to change the state’s “stance” in the lawsuit, hinting that maybe he would try something short of withdrawing. The lame-duck law doesn’t appear to prevent Evers from ordering Kaul to change positions — from being among the states supporting repeal of the law to those defending it — said Tim Jost, a professor emeritus at Washington and Lee University School of Law in Virginia, a supporter of the ACA who has followed the issue closely. But Evers asked for withdrawal, not a change in position. Often lost in the political fight over the lawsuit is what impact, if any, it would have on Wisconsin no longer being among the 20 states suing.